Welcome to Dalegate Market, the independent retail site with shops & Deepdale Cafe in Burnham Deepdale. The shopping centre is on the A149 coast road, approximately half way between Hunstanton and Wells-next-the-Sea in the heart of the beautiful North Norfolk Coast. The centre is a major North Norfolk Coast hub, offering a place to relax, shop, eat, drink and connect with friends and family. There's great food and drink from Deepdale Café, offering breakfast, lunch, tea, coffee and cake. The shopping site is home to mainly independent shops - Deepdale Stores supermarket & fuel station (petrol & diesel), Fat Face clothing & accessories shop, Gone Crabbing Norfolk clothing & souvenirs shop, Relish jewellery & accessories, One Stop Nature Shop, The Hare & The Hen gallery (and Philippa Lee pottery workshop), and Driftwood Glass Studio The shops are joined by Deepdale Bike Hire, Norfolk Hideaways holiday cottage agency and Deepdale Visitor Information Centre (TIC). Dalegate Market welcomes Pop Up Shops a week at a time throughout the Summer and at various other times of the year. Dalegate Market is also home to two of the major North Norfolk Coast events - Deepdale Christmas Market and Deepdale Spring Market. Dalegate Market is popular with visitors, tourists and locals, whether they are shopping for the essentials like bread and milk, or spoiling themselves (or others) with presents and gifts such as jewellery, clothing, binoculars, art and crafts. Come and join us for some retail therapy for wonderful items that you won't find on the high street. The site fits well with the tourism accommodation facilities of Deepdale Farm next door, which include Deepdale Backpackers Hostel, Deepdale Camping and Deepdale Groups Hostel. There are also many other things to do and see in the village - Brancaster Staithe & Burnham Deepdale. We’re an independent Health Club and Spa set in picturesque Pentney, in rural West Norfolk. We offer monthly membership packages, one-off use, and spa day packages, including use of our fully equipped gym, indoor swimming pool, spa (including sauna and steam rooms), heated outdoor vitality pool, and our on-site treatment rooms, Revive. Our trained therapists offer a range of treatments; from facials and reflexology, to hot stone massages and body wraps, using luxurious Thalgo products. We offer manicures, pedicures and gels, using Jessica Nails, as well as beauty treatments such as tinting, waxing, and more. Fabulous dog and family friendly self catering holiday cottages in North Norfolk. All with real fires and unlimited WiFi. Lark Cottage, Titchwell, North Norfolk sleeps 8-10 and unlimited dogs welcome at no extra charge. With a large enclosed garden and amazing sea views. Sage Cottage, Burnham Overy Staithe, North Norfolk sleeps 4 and three dogs welcome at no charge. It’s just a short walk to the sea and miles of coastal path. Samphire Cottage, Docking, North Norfolk sleeps 4-5 and unlimited dogs welcome at no extra charge. It is just a short five minute drive to Brancaster beach. Abbey House Cottage, Wells-next-Sea, North Norfolk sleeps 4 and two dogs are welcome at no charge. In the heart of Wells-next-the-Sea and all that it has to offer. Probably one of the most iconic Norfolk beaches with its stunning beach huts. As an owner/small agent you get my personal knowledge of the area and the properties, what ever you need I can sort it. Dog crates to high chairs, just ask. And unlike other agents and online travel agents I don’t charge fees or enormous commissions. Get more for your money and the holiday you worked so hard for. Sandringham Apple Juice is based in a traditional Norfolk barn on the Sandringham Estate. Sandringham Apple Juice produces eight single varieties of Apple Juice from Bramley which is Dry to Egremont Russet which is a sweet and also Sandringham Cider. 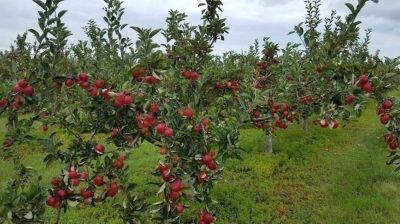 We also look after 30 acres of Apple Orchards for Pick your own and juice requirements. Sandringham Apple Juice was formed in 2013 by Andrew Jarvis who had previously worked for the Queen for 23 years before taking over the running of Sandringham Apple Juice which now supplies Apple Juice for the Royal Garden Parties. There’s never been a better time to trade in your old polluting woodburner or open fire grate. As part of our Scrappage Scheme, Norfolk Woodburners are proud to offer you up to £250 off a new woodburner and flue installation. Switch from having no warranty on your old inefficient, polluting woodburner or fireplace to enjoying a brand new super-efficient, more environmentally friendly woodburner with up to 10 years warranty included. Use less fuel, saving you money! 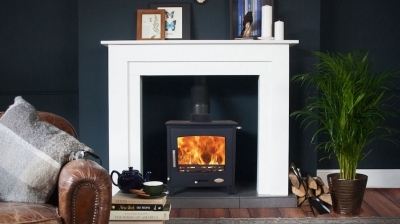 Norfolk Woodburners provide a bespoke service to its customers, before any purchase of a stove or woodburner is made, an in-home visit is conducted to discuss the customer’s individual requirements and to check the suitability of each property for their chosen product. All site surveys and consultations are free of charge. Our quotations are provided within 24 hours of our free site visit. There is no one else in Norfolk that provides a better service for the supply and installation of wood burners, log burners and multifuel stoves. Hetas registered, Norfolk Woodburners provide the best quality classic and contemporary wood burners, wood stoves, log burners and multifuel stoves. They are main dealers in Norfolk for Aga, Hunter, Parkray, Broseley, Di Lusso, Avalon, Termatech, Eco Ideal, Woolly Mammoth, Carron and Cleanburn stoves, all offering excellent, efficient stoves to heat your home. To help clean up the air in Norfolk and as part of our Scrappage Scheme, Norfolk Woodburners are proud to offer you up to £250 off a new woodburner and flue installation. Switch from having no warranty on your old inefficient, polluting woodburner or fireplace to enjoying a brand new super-efficient, more environmentally friendly woodburner with up to 10 years warranty included. Use less fuel, saving you money! There’s never been a better time to trade in your old polluting woodburner or open fire grate. Here at Norfolk Woodburners we supply and fit small wood burners, large wood burners, freestanding stoves, inset stoves, multi-fuel stoves, classic and contemporary stoves, pretty much anything you are looking for! We also design and build fireplaces and make alterations to existing fireplaces. Norfolk Woodburners also offer a service plan for each log burner that they supply and fit. Contact the Norfolk Woodburners team today to discuss how we can help with the sale and installation of your next wood burner. Hot Tub Barn is a family run business with a good reputation, and has been selling hot tubs for over 15 years. With several showrooms in UK including Kings Lynn, we have a wide range of hot tubs and swim spas on display with water in so you can see them in action and even try before you buy. Come along to our showroom in Dobbies Garden World, and chat to the team about what your are looking for and with their experience and knowledge they will be able to guide you, and answer all your questions about care and ongoing maintenance. All our hot tubs are delivered and installed efficiently and with great care by our installation team.